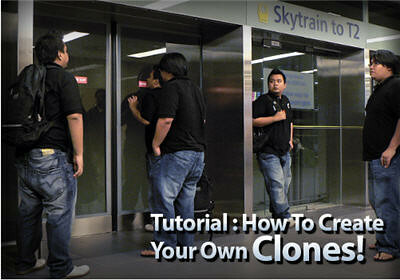 How to Create Your Own Clones is a detailed tutorial on how to create your own clones using a digital camera, tripod, and Adobe Photoshop, of course. 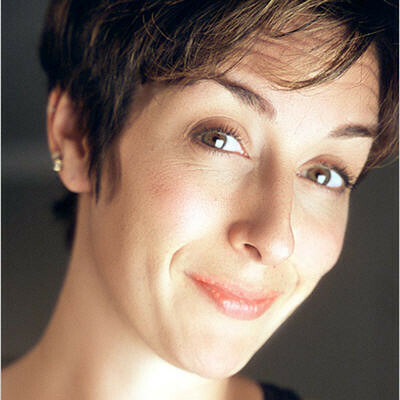 Makeup Makeover shows how to retouch skin, and apply makeup. This tutorial is for all skill levels. Remove an Object is something Photoshop can’t quite automate. Find out how to do it realistically. 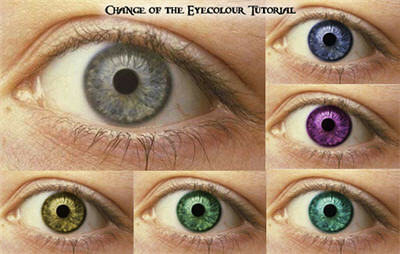 Change Eye-Color – a really easy tutorial on changing the eye color. 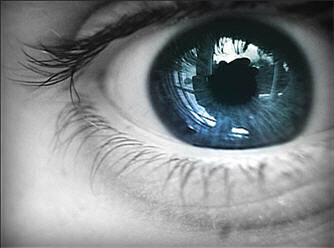 It works only on iris of light colors such as green or blue. 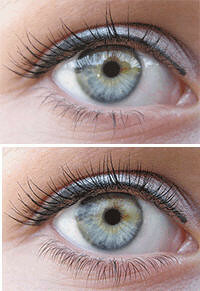 Make Eye-lashes Thicker – an easy step-by step tutorial on making the look more appealing. 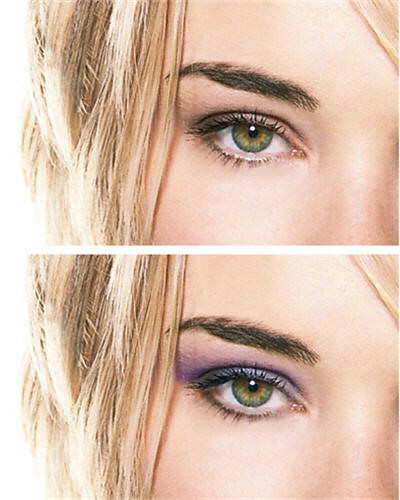 Apply Eye Makeup – an easy tutorial shows how to add eyeliner, eye shadow, and mascara to any model. 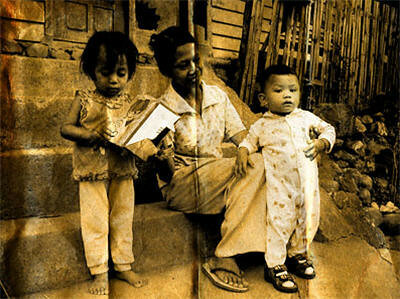 Old Photo Effect an easy way to create an old photo “sepia tone” look. 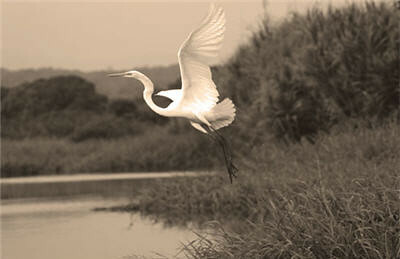 Selective Sepia shows how to selectively add a dramatic sepia effect. 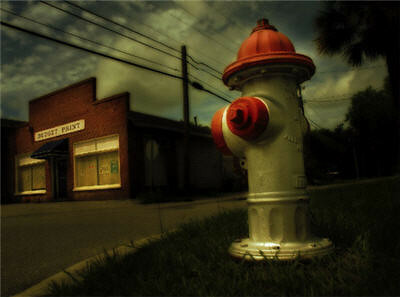 This effect works with both CS3 and CS2. 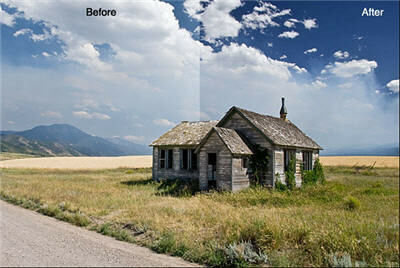 Tweaking a Photo a great tutorial that describes how to turn an ordinary photo into an extraordinary. This one is not for beginners. 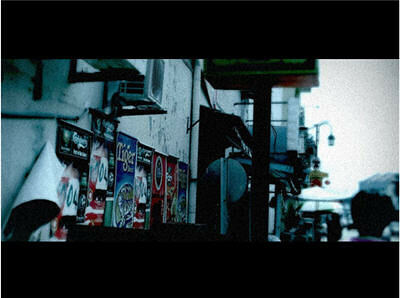 Movie-like Effect shows how to give your photo a movie-like look using Photoshop. 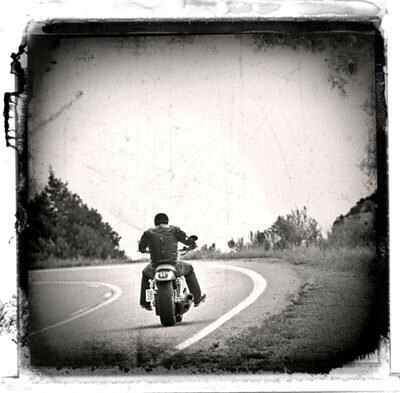 Photo Transfer Edge shows how to create a cool old photo transfer edge effect. You’ll need an alpha channel and the burn and dodge tools, and a piece of stock photography. Beautiful Lady Effect shows how to to make a beautiful lady effect combining some brushes and color adjustment. 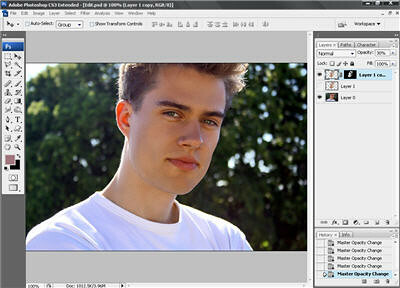 Aging a Photo – a quick and easy tutorial on adding “age” effect. Basic Graduated Neutral Density Filter shows how to make a sky more dramatic. 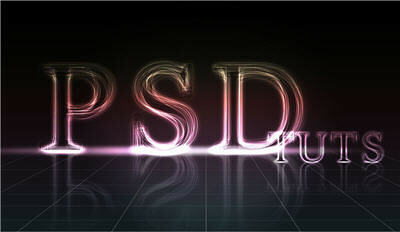 Layered Glowing Text Effect shows how to create awesome glowing effect using basic Photoshop tools. Simple even for a beginner. 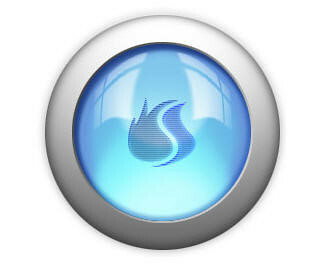 This effect requires a heavy use of computer’s memory. An Illustration from a Photo create cartoony vector portrait. 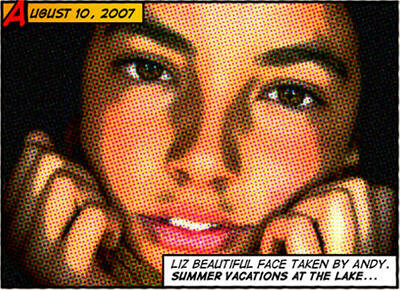 Old Comic Book Effect shows how to create a comic book look from your photo. You’ll need several filters and some decorations. 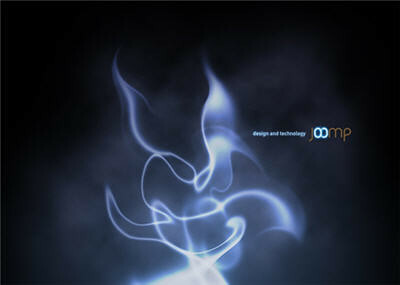 Creating Smoke is the easiest way to create smoke in Photoshop. It will take you not more than 30 minutes. 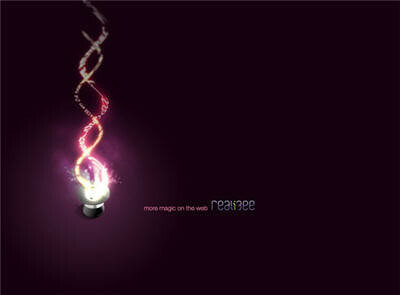 Magic Lighting Effect shows how to create a light and magic effect. 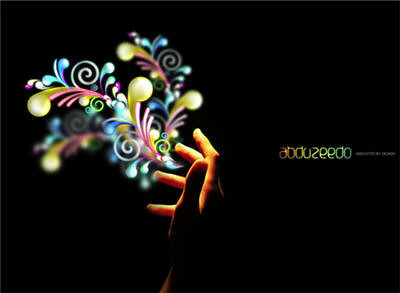 Using this tutorial you can create amazing light effects. The process takes about 35 minutes. Swirl Mania shows four ways of creating swirls. You’ll learn very powerful techniques that will allow you to easily make different styles of swirls. 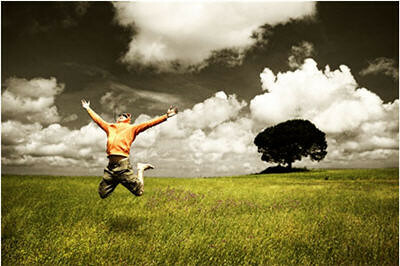 Interface Orbs – shows how to create shiny glass element which is so popular for web interfaces. 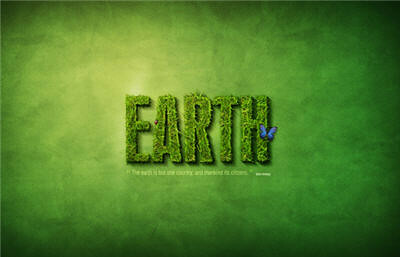 Grass Text Effect – a great tutorial that shows how to create a cool-looking grass text using Photoshop, a photo of grass, and Pen Tool. 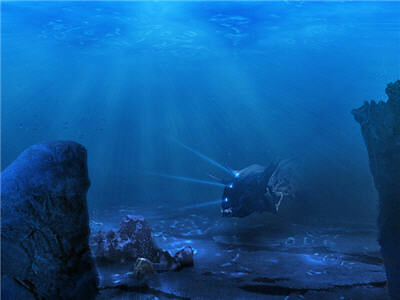 Alien-looking Water is a detailed and very well explained Photoshop tutorial. 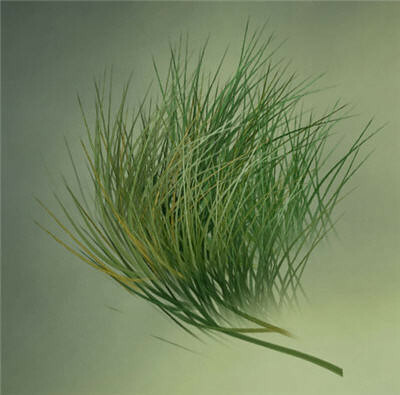 Painting Grass – a small tutorial shows the methods of creating grass with Photoshop 5.5.
i need the perfect skin tutorial!!! 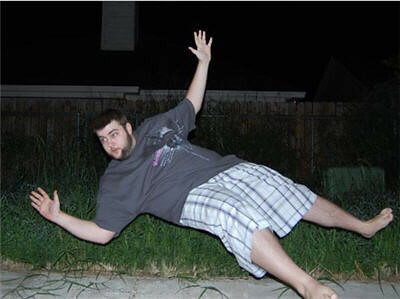 but seems like its a bad link from this site. es una locura. Uno moriria en el intento de aprender a manejar tan bien el photoshop. Es genial. I love guys there awsome!! to do it with.